We designed Curious-city to provide a framework that allows schools to innovate and express themselves while covering the National Curriculum. Curious-city is based on an enquiry-led pedagogy and “States of Being”, that get learners becoming Authors, Scientists, Historians etc, rather than focusing on topics or projects. The enquiry framework of “engage, practice, challenge” ensures a balance between knowledge and skills, encouraging independent learning and genuine curiosity. Overarching themes and structure are aligned with cognitive development through all primary year groups, creating a progression of understanding clear in the work produced. The pedagogy, along with local learning, community and culture form the core of an innovative, engaging framework which aligns with Ofsted’s new focus on an intent/ implementation/ impact structure. We consider the needs of each school individually and work with closely with them to achieve their goals. Your curriculum should be unique to your school. We actively encourage every setting to think about what they want to get from Curious-city and how it will reflect their own values and aims. Some schools take all 49 enquiries, which cover all year groups and subjects, as well as working with us extensively on a pedagogical shift. Some introduce it in stages and others take only the elements that work for their situation. However you engage with Curious-city, we work alongside you to make sure that it is genuinely effective. We will be with you in your school, part of the team, understanding your challenges, coming up with ideas and helping you keep on track. 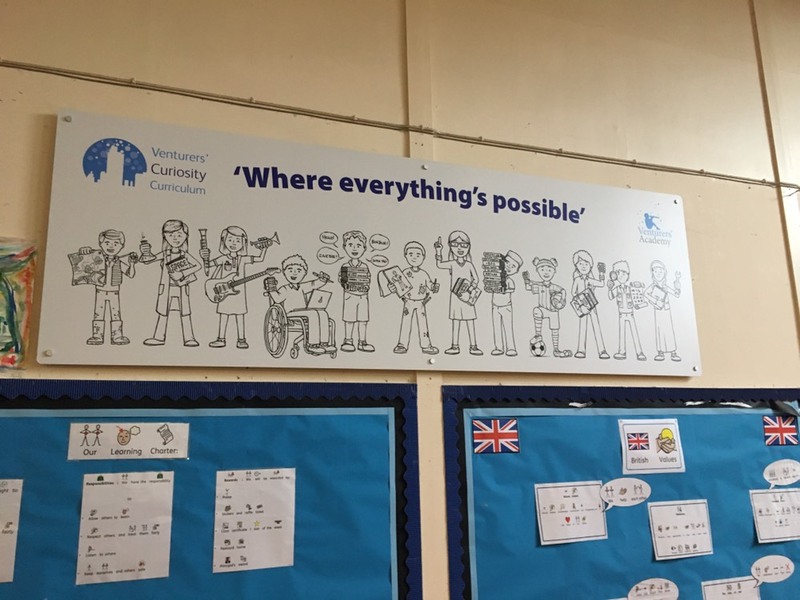 The Dolphin School, our flagship Bristol setting, launched the Curious-city curriculum approach to coincide with the opening of their new school site. Head Shelley Dixon saw this as a chance to establish something special. We have worked with all staff extensively to develop a curriculum that is right for them; local, culturally relevant and academically robust. In addition to design, we work alongside staff to ensure everyone can confidently deliver our exciting enquiry-led approach. 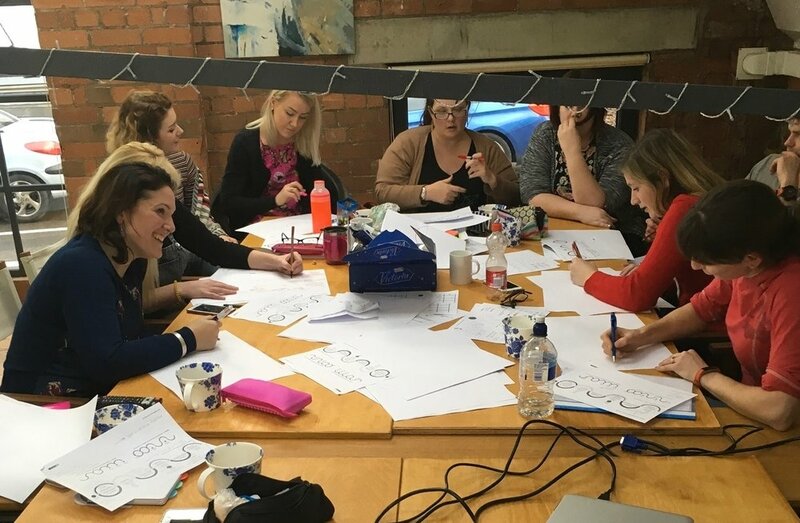 Coaching, mentoring, training, providing access to a local network of education providers and visitors all come as part of the Curious-city offer. The response from staff, parents, Ofsted and most importantly the learners, has been amazing. After successful CPD and training work with The White Horse Federation and Swindon Teaching School, we were invited to find an innovative way to use a new space at The Croft Primary. We divided their classroom into four "zones" (firesides, caves, watering holes and forests) which each allowed children to work in a different way. To showcase the concept and as part of teacher CPD, we ran an enquiry in a day, which asked learners to consider the question of whether or not a building should contrast or complement the landscape. This used all the zones to facilitate the different modes of working and allowed pupils to research, collaborate and create in whichever way they felt most comfortable. We were asked to go in and help streamline St. Werburgh’s Primary’s vibrant and innovative curriculum that was bursting with whole-school initiatives. We reviewed their practice and attitudes through face to face conversations with staff, pupils and parents. Working closely with the Curriculum Lead, we evaluated National Curriculum coverage, skills progression and teacher planning. The curriculum's strength, as well as St. Werburgh's existing links with the local community, role as a Rights Respecting School and other quality marks were clear, but topics had become unwieldy. We worked openly alongside the school to slim down their existing curriculum and make it more focused and effective. We are currently working with Venturers’ Academy on their Curiosity Curriculum, based on our Curious City approach. We have adapted this for specialist provision settings by working closely with schools to understand the needs of their learners and learning outcomes they want to achieve for them. Adjustments were made based on the sensory needs of the learners; we use props and makaton signs to help describe the states of being in a more physical way and have encouraged children to engage with the states of being by creating artwork and songs about them. We have worked in partnership with each class teacher to ensure the enquiries will engage their learners and support the learning outcomes for each child as an individual. This is key in a specialist provision setting where the needs of the children can be diverse. Other than this, the Curiosity Curriculum has been adopted by the academy in the standard way. Curious Linguists provides a new approach to languages at Key Stage 2. Like Curious City, it is based on enquiry-led learning and aims to generate curiosity and excitement about languages and their associated cultures. We start in years 3 and 4 by focusing on a key aspect of the Purpose of Study of the National Curriculum: “Learning a foreign language is a liberation from insularity and provides an opening to other cultures. A high-quality languages education should foster pupils’ curiosity and deepen their understanding of the world”. Learners explore languages in their broadest sense, investigating similarities and differences, touching upon key concepts such as gender and register as well as learning about cultures and traditions. There are opportunities to celebrate community languages, think about why learning other languages is important in today’s society and investigate how languages change over time. In years 5 and 6, learners choose one language to focus on, thereby ensuring that schools meet the National Curriculum requirement of making significant progress in one language. Using community mentors to support learning, it can be delivered by non-specialists meaning that this is a sustainable option for all schools and does not rely on teachers having advanced subject knowledge in a language. The enquiries are varied in duration and can be used at any point in the year, making it a flexible way to deliver languages. "It aims to build on pupils’ curiosity about their own community and locality in order to develop their interest in the wider world. Structured around a series of interconnecting enquiries, the curriculum develops pupils’ knowledge, understanding and skills across a wide range of subjects." "Both Year 5 teachers – and indeed the whole of the school - have embraced the work with Curious City wholeheartedly. However, the enthusiasm is matched by Ali and the LupL team along with their curriculum knowledge / conviction which has been an inspiration." Every time I see you both I feel so inspired to be a better teacher. I would love to organise another one [Curious-city Enquiry in a Day]. I would have loved an input like today when I was training. "We are very lucky to have you and Celia working with us - I’ve no idea what we would do without you both"
We also use our detailed knowledge of the curriculum and our years in teaching to create educational materials and programmes for non-school organisations. Most recently this has involved work with both the WWT and the League Against Cruel Sports. This has centred around designing and writing a suite of pre, during and post visit questions and tasks that help schools get the most of their trips, as well as helping the organisations consider their in school offers. These were, of course, bespoke to the needs of the settings and organisations themselves. "Celia and Ali were so friendly and knowledgeable and made me feel at ease." "Nicholas Garrick, Director of @lightinguplearn, won’t remember sitting with me after an INSET during my NQT at Two Mile Hill Primary School ten years ago, but talking with him inspired me to strive to be the best teacher possible. I hope in my new role I can now inspire others…"
"Really helpful and enjoyable. I'm taking lots back to implement tomorrow. I already feel confident in applying things from today." "I really couldn’t have done it without you, Mark, Celia and Ali, you have all been fantastic, coping with all our rubbish and knowing us so well that without us realising you are always giving us exactly what we need. Thank you." Coaching can be a challenging approach to understand. Many people have experienced 'coaching' that was in fact mentoring or are interested in it, but don't really understand how it can help them. It can easily be seen as a 'loose' approach when in fact it is robust, focused and highly effective. Coaching is for everyone and it is a sign of professional and personal strength when an aspiring leader, struggling teacher or Executive Headteacher seeks out the insight it can provide. Over the past decade we have worked all over the world, changing teaching on a country-wide level. We have instituted systems of teacher training in Colombia, created student programmes and advised on everything from top-level leadership to front line classroom practice. 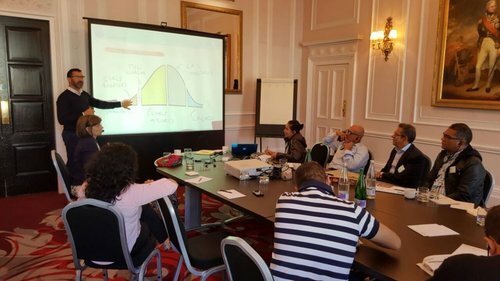 We offer various programmes of training for all levels of education, from NQTs or TAs to Senior Leadership. We’ve designed curricula, run schools, built schools and even created educational systems for entire countries. More importantly, we’ve all spent years in the classroom, so we understand the challenges faced by educators at all levels. If there’s something you’re interested in consulting us on, please get in touch on info@lightinguplearning.com. Our current courses are below. We have three main forms of CPD on offer currently: Re-examining Curriculum, Coaching Training and Grounded Leadership (see below). If you are group, partnership or Trust it may be more cost effective to commission a bespoke version; email us for information.